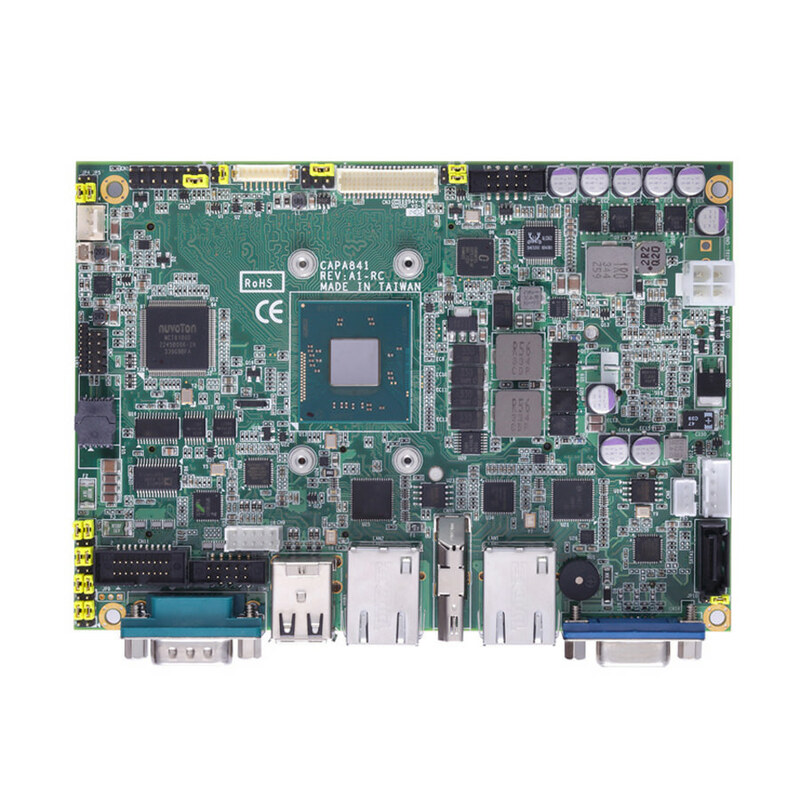 Industrial PC Pro, a leading industrial computers integrator and solution provider, introduces the CAPA841, a 3.5” embedded board from Axiomtek. It supports the newest 22nm process Intel® Atom E3800 processor family (formerly codenamed “Bay Trail”). This small form factor system-on-chip (SoC) embedded board supports up to four cores and maximum 8GB DDR3 1333/1066MHz SO-DIMM. Moreover, the CAPA841 is designed to operate fanless in wide temperature from -40°F to +185°F (-40°C to +85°C), which allows customers to implement the board in the roughest environments. The CAPA841 comes with full range of I/O ports including four serial ports, two of them can be setup as RS-232/422/485 in BIOS with +5V/+12V power, four high-speed USB 2.0 ports, two Gigabit Ethernet ports with Intel® i210T Gigabit Ethernet controller, one full-size mini-PCIe slot with mSATA supported. The built-in Watchdog Timer keeps the system running smoothly. The embedded board runs well with Windows® 7 and 8 operating systems.